A new crowdfunding website aims to help raise money for legal cases. 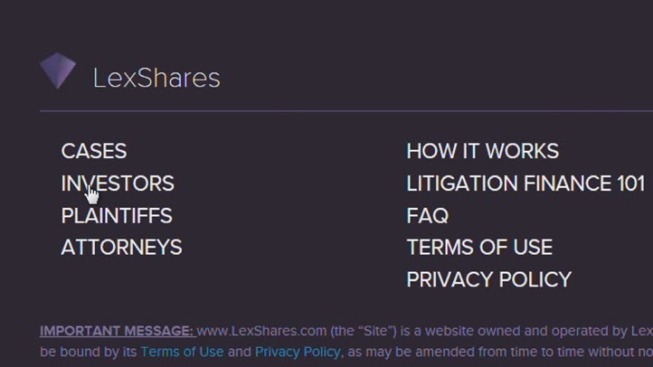 Lex Shares, launching in New York, wants to bring investors together to help small businesses raise money to file lawsuits. "So this gives the investors the opportunity to buy equity in the lawsuit," said Jay Greenberg, Lex Shares CEO. "And should the plaintiff prevail, by settlement or court judgement, the investors receive a return for investing in the case." But, as legal analyst Steven Clark points out, what works in the tech sector doesn't necessarily work in the legal sector. "Under California law, a lawyer is not allowed to split fees with a non-lawyer," Clark said. "So crowdfunding itself is frought with problems under California state bar rules." But could access to money lead to more frivolous lawsuits? Greenberg said that would not be the case because such lawsuits would not only fail to pass the company's vetting process, but typically don't make much money -- so they wouldn't be as attractive to investors.